EBSON creates a real ‘anthem for struggle’. With a cinematic landscape and deep rooted soul sensibilities, it’s a record that will speak volumes to anyone who has ever felt they had a battle to overcome, finding the strength to fight for what they believe in. Adapt to Thrive is a carefully crafted four-minute musical interplay of darkness and light, with a piano-led track that invites comparisons to artists such as James Blake, Jamie Woon and Samm Henshaw. 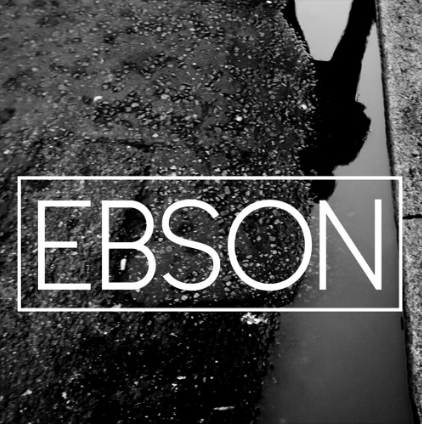 Against multi-layered vocal harmonies, crashing percussion, and the gothic chime of bells, EBSON‘s dark, blues-infused vocals draw on raw emotion that reverberates with a deep authenticity and unmistakable London sound. Defiant lyrics reference ‘rising up through the cracks to take control’ and the refrain – ‘we will rise up so high’ – paints a picture of ascension and triumph over adversity. lt is a track that is simultaneously haunting, uplifting – and entirely soulful. Produced by Charlie J Perry and mixed by Grammy nominee Alex Evans, Adapt to Thrive is the result of a year’s writing and recording, that began when EBSON dreamed up the underlying melodies whilst walking through the bustling streets of London. Referencing life in the city as a key source of inspiration, EBSON is a distinctly UK artist, whose music is imbued with the kind of understated self-confidence that can only come from a recording artist who really is adapting to thrive.